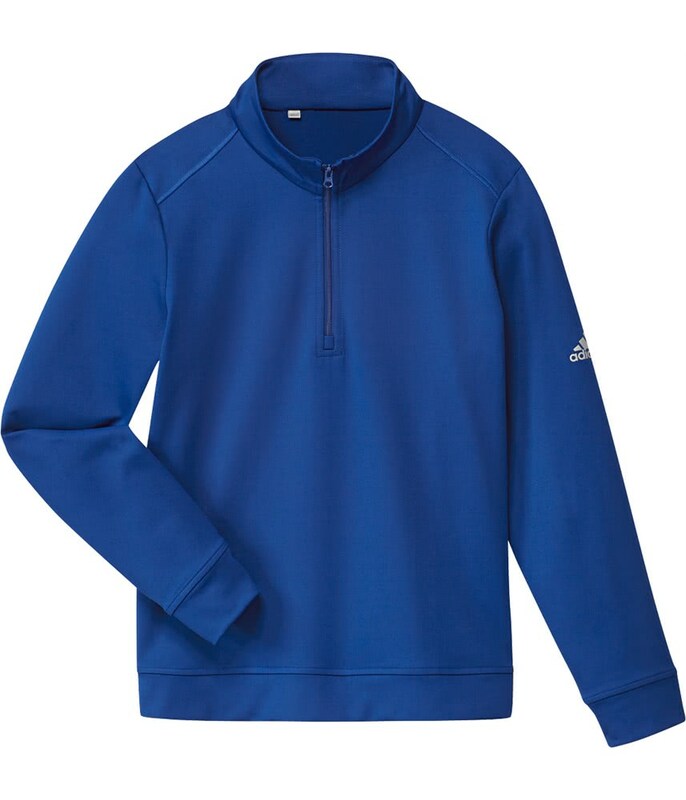 The adidas Boys Half Zip Solid Layer Pullover has been designed as an outer layer that will keep you warm, comfortable and focused on playing your best golf. 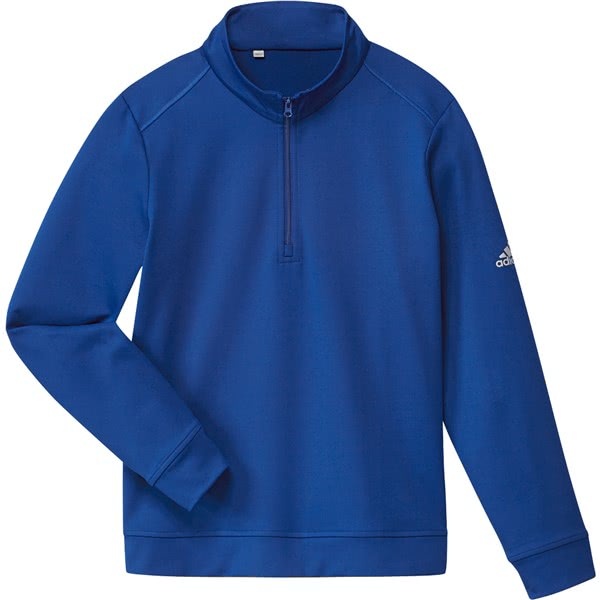 adidas have used a forward shoulder seam to improve movement. The stand up collar and quarter zip design allows you to control ventilation when on the course in changing conditions. Available in two colours the added bonus of the fabric is that it features a UPF50+ UV coating that will keep you protected from the sun.